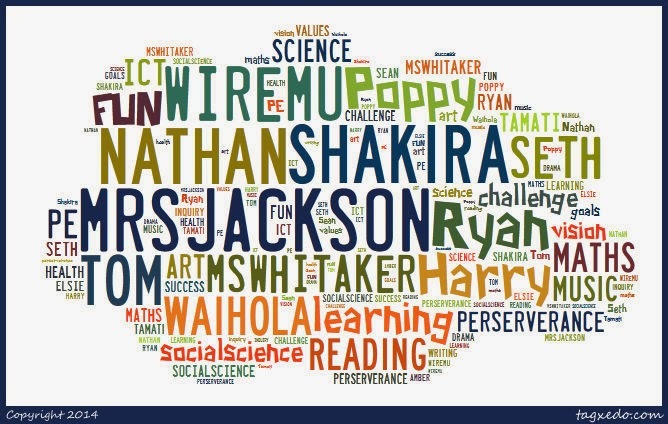 In ICT this week we will be learning how to make and import Tagxedo. These are 'word clouds' that we can create with our own words using different shapes and colours. We will be creating Tagxedo's using words that describe us - our family and pets and our favourite things. You will also need to include the schools R.I.C.H values and some key words from our class treaty. Here is one I prepared earlier! See if you can spot your name!